It has admittedly been much longer than one week since my last post in this series, but that’s what happens when life happens. I also had the IMMENSE blessing of being able to see a wedding take place in the same chapel Jason and I will be married in this November. John and Courtney’s wedding went off without a single hitch (other than Jason fumbling for the rings in his coat pocket – which only he noticed) and I was more than happy to take notes on all of their successes. 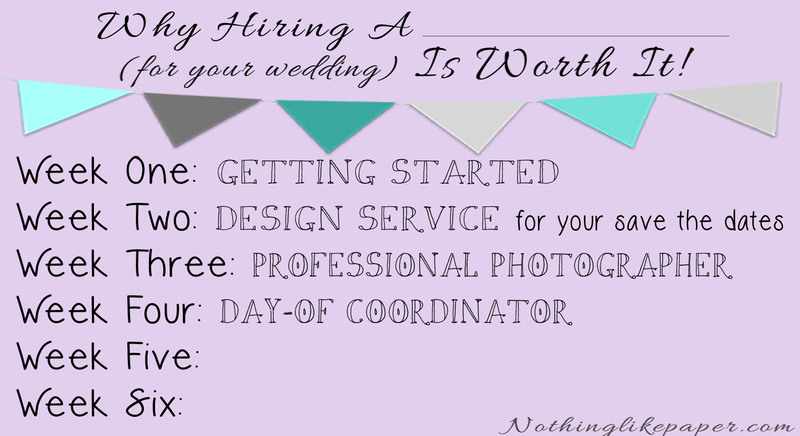 From their example this weekend, I learned first-hand the immense help a day-of planner is on your wedding day. John and Courtney’s wedding embodied the ideal mix of relaxation and joy – and this was greatly due to neither one of them (or their families) needing to worry about the wedding day logistics while trying to get ready and enjoy this beautiful day. When Courtney’s hair took an hour longer than expected, no one had to run around to make sure everything else wouldn't be thrown off of schedule. All of this was already being taken care of by their designated coordinator. From first thought I “knew” I wouldn't be needing any help with the logistics of my wedding day – I was born to coordinate and plan. But the rise in DIY brides has transformed the wedding-planning industry into hundreds of niches of support and help 100% flexible to exactly what your unique needs are as a bride. 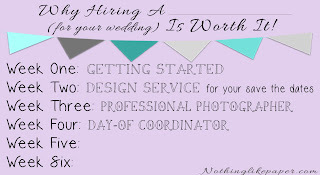 So whether it is a pricey, experienced, professional wedding planner or a type-A, organized, long-time family friend who knows how you would like things to be done (which Jason and I are opting for), putting the day-of logistics in someone else’s hands can be the make or break decision that determines whether you get to experience your wedding day as a bride and groom, or as two party hosts feeling the pressure of an event you’ve been planning for the past year.